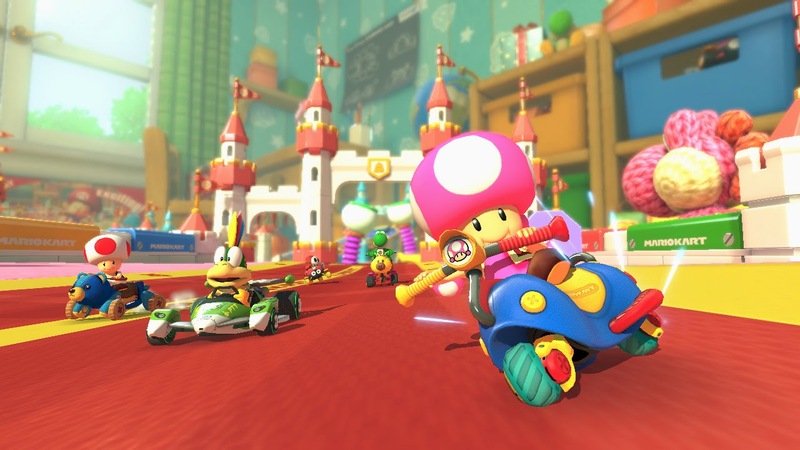 The second DLC pack for Mario Kart 8 has arrived, bringing with it eight new courses spread across two Grand Prix cups, three new racers, and a handful of new vehicle customization options. 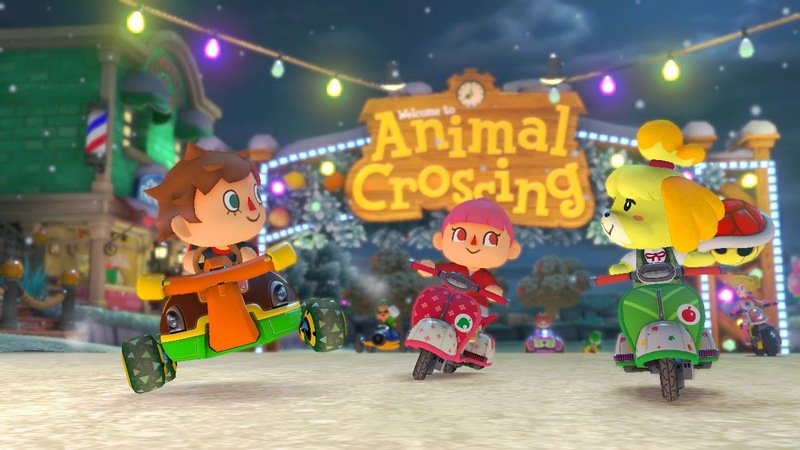 Following in the footsteps of the first DLC pack, this latest offering sees the inhabitants of the Mushroom Kingdom open up their roster to accommodate for the Villagers and Isabelle from Nintendo’s Animal Crossing: New Leaf. The majority of the vehicle options are similarly reflective of the Animal Crossing image, while the skeletal Dry Bowser is an outlier – a reskin of the Koopa king that presents more creativity in aesthetic appeal than the previously-released Tanooki Mario or Cat Suit Peach did. And while all of these are fine additions to Mario Kart 8, the real meat of the DLC pack comes from the race tracks themselves. Half of the courses are reimaginings of courses that debuted in previous Mario Kart titles, while the other half are brand new. Two of the reimagined courses have Gameboy Advance origins, and boast the most obvious updates, both in terms of visual prowess and dynamic layout. As has been the case from the day of its release, Mario Kart 8 remains one of the most visually gorgeous games of this eighth console generation, and the pure variety of environments within this DLC pack continue that trend. From a massive playroom where your kart appears to be a shrunken toy, to graffiti-covered subway tunnels, to the winding breakneck turns of the hyper-futuristic Big Blue, there are plenty of impressive little details to take in. Distinct about the Animal Crossing X Mario Kart 8 pack is the overall more consistent length and quality of the eight tracks when compared to its Legend of Zelda-themed predecessor. Nearly every course makes use of multiple vehicle transformations, something that, once again, could not be said about almost half of the courses within the first DLC pack. The drawback, however, is the fact that there are fewer standout tracks from this latest batch. The Animal Crossing course is relatively straightforward in design, and while the changing of seasons is a neat afterthought, its environmental hazards and visual 'wow-factor' pale in comparison to Hyrule Circuit. With that said, this is still a solid DLC pack that provides quite a lot of bang for your buck. The courses each offer decent degrees of challenge, and revisiting them can drastically improve your finishing time. My review of the first two volumes of Gambit. Written by James Asmus. Volume One: Once A Thief... - Illustrated by Clay Mann, Leonard Kirk, Diogenes Neves, and Al Barrionuevo. Volume Two: Tombstone Blue - Illustrated by Pasqual Ferry, Clay Mann, and Billy Tan. Once in a blue moon, I come across a video game that I would consider ‘definitive’ to its genre or series. Final Fantasy IV is one such game, taking the essence of what turn-based JRPGs are all about, and cranking the gameplay up a notch with the introduction of the active-time battle system. It takes the medieval fantasy aesthetic to fantastical settings, with a skeleton wall bearing down on Cecil Harvey and company deep below the surface of their world, a massive tower that bursts forth from the ground to loom over the countryside, and a journey to the moon in order to make the final strike against the true foe of this epic adventure. And while Cecil, Kain, Rosa, Yang, Cid, and the rest of the playable cast were a lovable, iconic bunch, the one character that I adored from the moment of her introduction to the climactic finale was Rydia of Mist. I think it is not much of a stretch to say that Final Fantasy IV spoiled me, in a way, offering me such a perfect balancing of party members over the course of the game, Rydia being chief among them. She is unquestionably the greatest black mage I have encountered in a Final Fantasy title to date, a role that has long been a core element to my strategies in JRPGs. 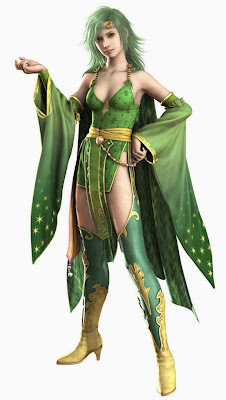 Even more impressive is the fact that, on top of this, she is also the best summoner I have encountered in the series. I have made mention a number of times that my experiences with the proper numbered Final Fantasy titles remains limited to about six games, but even in the company of other JRPGs that I very much enjoyed, like Persona 4, Rydia still stands out as a force to be reckoned with. She never feels overpowered, per se, but the sheer variety of summons and spells at her disposal late in Final Fantasy IV is incredible. Her story is also quite well-written – simple enough to juggle with the narratives surrounding all the other major players in FFIV, but elaborate enough to give players a reason to care about her plight. When Cecil and Kain first encounter Rydia, she is saddened by the destruction brought upon her village by the Red Wings, the very team that Cecil and Kain serve, and the fact that the two dark knights inadvertently caused the death of her mother while fighting her Eidolon. All this sorrow and anger causes the young girl to call upon an Eidolon of her own, displaying firsthand to Cecil and Kain the unthinkable powers they have upset. Though their alliance is uneasy at first, Cecil’s decision to abandon his role as dark knight and seek out the underlying machinations involving Golbez leads Rydia to see him as someone more human and trustworthy than she initially believed. After an attack at sea by Leviathan, the rest of the party believes the young girl has died, and mourns her, only to later discover she was taken to the Feymarch, home of the Eidolons. Because time passes faster in the Feymarch, Rydia was able to hone her skills as both black mage and summoner, growing from child into young woman, and returning to aid her friends and allies when they needed her most. As an adult, Rydia is more calm and collected, and carries a noticeable air of confidence about her. There is, however, a certain element of pep and feistiness to the way that she takes on foes in battle – perhaps due to the fact that, having improved all of her abilities, she knows that her Eidolons are capable of laying waste to as many foes might stand in her way. 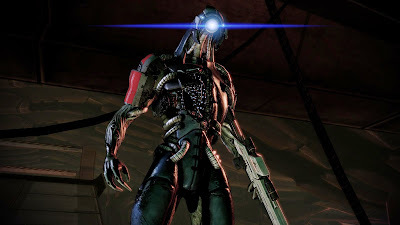 #5 - Legion: Though the Geth served as the primary enemy foot soldiers in the first Mass Effect, they were not of a terribly complicated nature. The Quarians crafted them many years ago, only to have things go horribly awry when the Geth declared themselves independent and war broke out between these mechanical creations and their organic creators. In Mass Effect 2, the hive-mind mentality of the Geth is expanded upon, and a ‘ghost in the machine’ emerges in the form of Legion, a Geth who has modeled his own form after Commander Shepard and would dare to question the behavior of his kin. Legion’s intellect borders that of his organic comrades, and Mass Effect 3 presents a particularly dangerous scenario where Shepard must side with either the Quarians or the Geth in the fight against the Reapers – though, provided his skills are sufficient, he can choose a third option that sees both sides unite in the effort to repel the Reapers’ onslaught of the galaxy. 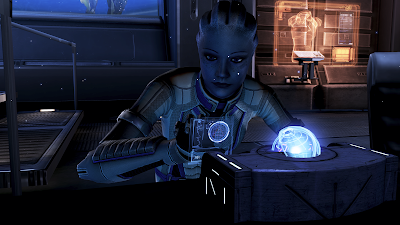 #4 - Liara T’Soni: I did not get around to actually playing the Mass Effect trilogy until quite a few months after the third entry had been released, despite the series having been frequently recommended to me by friends. One significant benefit to this, I felt, was the ability to immediately jump into the next game, not having to wait years between releases like everyone else had. However, I was strikingly aware of the greater limitations the first title offered in gameplay, dialogue, and moral choices. I played as male Shepard my first time through the Mass Effect trilogy, and seeing as the first game only offered me two options for romantic partners, one of whom I left to die on Virmire on account of her being one of the least likeable characters in the franchise, I defaulted to Liara. Her nerdy, somewhat naïve nature was certainly preferable to the company of Ashley (or Kaidan, in the case of female Shepard), but I never felt like she came into her own until the second game, when she was pushed to a supporting cast member. Where Liara did truly shine was during the events of the Lair of the Shadow Broker DLC for Mass Effect 2, where she shows Shepard just how much of a no-holds-barred badass she’s become in the Commander's absence. She’s broken out of her shell and then some, following a trail of digital breadcrumbs, tracing as many of the Shadow Broker’s contacts as she knows exist, helping save Shepard’s life (yet again), before making a seemingly-impossible assault upon the Shadow Broker’s carefully-hidden headquarters. By the time Mass Effect 3 rolls around, Liara has taken over the role of the Shadow Broker, keeping close watch on the web of information and trafficking of resources to aid Shepard and the crew of the Normandy. She also returns as a party member, still one of the most adept Biotics in the series. #3 - Jack: The other great Biotic in the Mass Effect series is Jack, with her tattoo-decorated body, shaved head, and take-no-prisoners mentality. After being enlisted to help Cerberus per their bringing the Normandy’s famous commander back to life, Shepard is tasked with a number of missions to recruit highly-valuable and equally skillful individuals from across the galaxy. Recruiting Jack is a job that reeks of danger quite some time before it actually goes sour, with the crew of the redesigned Normandy SR-2 visiting a prison facility where the guards seem to be as ruthless as the prisoners they keep locked up. Before Shepard and company can reach their intended target, the warden informs them that he will be adding Shepard to the list of inmates, believing the commander’s notoriety will land him a hefty payout. A skirmish with the guards later, and Shepard’s team makes it to the holding cell where Jack is being kept on ice. Upon awakening, she immediately enters a destructive rage, blowing holes through walls, and using her Biotic powers to blow away anyone who tries to get in her way. The trail of wreckage she leaves is plenty easy to follow, though it only adds fuel to the already chaotic fire that has erupted within the prison complex. While she is thoroughly reluctant to join a team funded by Cerberus, she proves an invaluable ally in the fight against the Collectors, using her Biotic powers for both offensive and defensive strategies during the Suicide Mission at the end of Mass Effect 2, and then going on to train a new generation of Biotics during the events of Mass Effect 3. She’s foul-mouthed, doesn’t much care what anyone thinks of her, and would much prefer to play by her own rules, but when Shepard is in a tight spot, he/she can always count on Jack to take whatever the enemy is throwing their way and toss it back in their face three-fold. 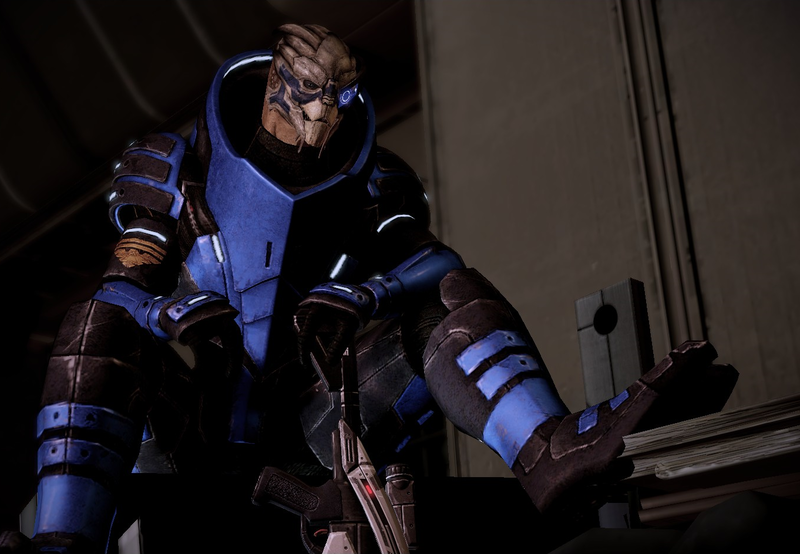 #2 - Garrus Vakarian: Garrus is one of those rare characters that proves so likeable in nearly every situation he and Shepard find themselves in. Whether scouting the seedy underbelly of Omega for shady characters, treading deep into abandoned mining facilities, or helping repel an invasion of Reaper forces, Garrus proves a trustworthy friend through thick and thin. His intimate knowledge of C-Sec formalities and Turian battle strategies makes him an invaluable asset with a rifle in his hands, but his cool personality and genuine advice led him to be equally valuable for personal support. Garrus is not without his own shortcomings, treading into some dark territory during the second game, and lacking finesse when it comes to charming the ladies. But all of these elements propelled him to become one of the most enjoyable personalities in the Mass Effect trilogy, as well as one of the most memorable characters in recent video game history, and I kept him in my company about as often as the games would allow. #1 - Tali’Zorah vas Normandy: When Tali first joins Shepard’s crew aboard the Normandy, she is excitable, practically shoving her way past crew members to analyze the ship’s internal engineering. And while her understanding of the galaxy may be somewhat naive at the outset of her pilgrimage, she is not exactly an impressionable youth. She always has a couple of tricks up her sleeve, thanks to her long history of technical expertise. She was an enjoyable sidekick for much of my playthrough of the original Mass Effect, but when I started up the second game, I realized how much she had matured during her time away from Shepard and company. Working with the crew of the Normandy, she had found her own voice, become more cunning, and offered her fellow Quarians a unique view of the galaxy beyond their Flotilla home fleet. Tali’s role as tech expert led her to prove an invaluable support party member throughout all three games, and alongside Garrus, served as my go-to ally for the vast majority of the story. She embraced her particular skill set while others preferred the spectacle of explosive weaponry or Biotic powers, and always looked up Commander Shepard as ally, mentor, and friend, holding a great deal of respect for him/her. She also was not afraid to voice her opinion in the event that she did not agree with Shepard or any one of the other crew members, with each concern she raised being very much valid. 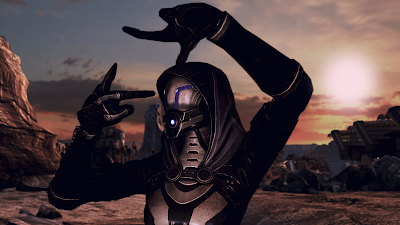 That is not to say that Tali shied away from some free-spirited fun, as she was always down to boogie in one of the Citadel’s many clubs, cracks some crude humor on occasion, and delivers hilarious drunken ramblings during Shepard’s house party in The Citadel DLC. While easily one of the most enjoyable characters in the first title, Tali’Zorah truly bloomed into one of my favorite RPG companion characters of all time in the sequel games, and was, for me, a no-brainer pick as Commander Shepard’s love interest. My review of Guardians of the Galaxy by Abnett and Lanning: The Complete Collection. Written by Dan Abnett and Andy Lanning, illustrated by Paul Pelletier, Brad Walker, Carlos Magno, and Wes Craig. My review of The Infinity Gauntlet. Written by Jim Starlin, illustrated by George Perez and Ron Lim. The earliest comrades to join the amnesiac protagonist’s party in Star Wars: Knights of the Old Republic fit the typical Star Wars formula – Bastila is a skilled young Jedi, Carth is slick with pistols and skeptical of certain galactic factions (though whiny and far less enjoyable company than the likes of one Han Solo), T3-M4 is a whistling astromech droid, and Zaalbar is… a Wookie. 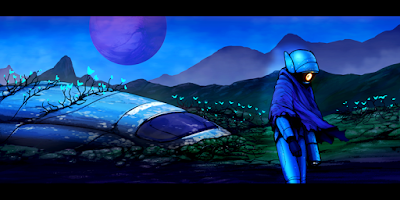 The party members that joined the adventures across the stars past the game’s halfway point struck me as having more creative personalities, overall, and offering further insight into the ever-expanding Star Wars universe. Of particular note was HK-47, an assassin droid who was positively gleeful to aim his rifle at any organic being he was instructed to. HK-47’s behavior of constantly prefacing each statement with situation-appropriate terms including ‘query’, ‘statement’, ‘observation’, and ‘advisement’ formed an endearing trait, as well as a curious complement to his twisted comedic personality. HK-47 was devoutly loyal to his comrades, even if he did insist on referring to all of his human and alien travelling companions as ‘meatbags’. He performed well as a ranged heavy hitter, blaster rifles being his specialty. 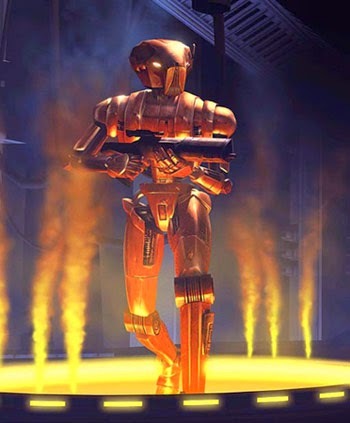 Once HK-47 was counted among the misfit crew of the Ebon Hawk, I never swapped him out of my party. My review of Deadpool vs. the Marvel Universe. Written by Fabian Nicieza and Reilly Brown, illustrated by Ron Lim and Reilly Brown. My review of Spider-man Noir. Written by David Hine and Fabrice Sapolsky, illustrated by Carmine Di Giandomenico. Sometimes the reason a video game resonates with us so powerfully has to do with the characters we encounter along the way. This post marks the first in a new series I will be adding new entries to every on a semi-regular basis, and which will explore some of my favorite characters from different video game series in brief. Simply stated, these posts will be more along the lines of quick blurbs than full-fledged articles, though I may have more to say about certain characters than others due to a variety of factors – the numbers of games they have appeared in, the degree to which I have found myself entertained by their antics or invested in their development, etc. Following the legacy of handsome blond-haired bruisers like Final Fantasy IV's Kain Highwind, Kanji is rough, tough, and hits like a truck. What lends Kanji to stand out from the crowd is his personality, and his role as part of a modern social commentary. While other JRPGs remain rooted in the expansive fantasy realms that first put them on the map, the Persona titles opt for a contemporary setting, featuring high school kids capable of using the powers of the Arcana to summon their respective Personas and – in the case of Persona 4 – defeat the shadow monsters of the Midnight Channel as they piece together a mysterious series of kidnappings in the rural town of Inaba. Kanji is one of the Persona series’ most striking reflections of modern sensibilities, as his shadow form, a physical manifestation of his inner struggles, deals with a confusion of his own sexual identity and the interpretation of what others view as ‘manly’ and ‘masculine’ versus what he knows he is good at and passionate about. While Kanji’s actual sexual orientation is somewhat left up to each player’s own interpretation, it’s certainly easy to find yourself invested in his story, especially when it comes to accepting the fact that some people might think his sewing and crafting skills are unusual, but that it is more than acceptable for him to take pride in these. I also found the clash of Kanji’s badass scrappy external image and the fact that he could become so easily flustered when put on the spot to be entertaining, as well as facets that further lent to his progress being arguably more human and meaningful than some of his P4 comrades, and certainly a more compelling individual tale than many other JRPGs have to offer these days. My review of Avengers: Rage of Ultron. Written by Rick Remender, illustrated by Jerome Opena, Pepe Larraz, and Mark Morales. My review of The Thanos Imperative. Written by Dan Abnett and Andy Lanning, illustrated by Brad Walker and Miguel Sepulveda. My review of What If? Age of Ultron. Written by Joe Keatinge, illustrated by Raffaele Ienco, Ramon Villalobos, Mico Suayan, Piotr Kowalski, Neil Edwards, and Ming Doyle. Labels: Age of Ultron, alternate universe, comic book, comic book review, graphic novel, Marvel, superhero, Ultron, What If? Hot off the heels of the latest Nintendo Direct, I figure it an appropriate time to provide a rundown of some of the games on my radar this year. The games here are listed in what is more-or-less the chronological order of their release, with some variation, as we do not yet have accurate release dates for all of the games I will be talking about. The first two I am almost certain to purchase sooner rather than later are Code Name: S.T.E.A.M. and Resident Evil: Revelations 2. The demo released a month or so ago for Code Name S.T.E.A.M. left me really impressed, and I’d love to give the full retail release a playthrough. Meanwhile, while I was skeptical of the sequel to Resident Evil: Revelations maybe not living up to its 3DS predecessor, the early gameplay segments I have seen of it have largely put my worries to rest. While I’m still disappointed that Capcom decided not to release Revelations 2 on the 3DS, I’ll still pick up a copy for my Xbox 360. While I am pleased to see Nintendo has released the other N64 Zelda title on the 3DS in an updated form, it hasn’t been all that long since I last played Majora’s Mask, so I’ll likely wait a while before I make the journey back to Termina – in all likelihood, I’d be looking at getting Majora’s Mask 3D sometime later this Summer or Fall. 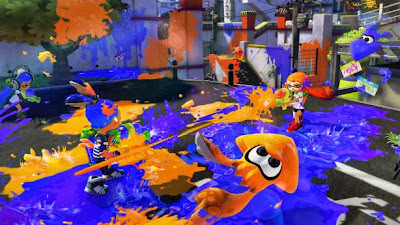 The late Spring months into early Summer will likely be spent with Splatoon, which continues to impress me more and more with each chunk of gameplay footage that Nintendo reveals. I’m really digging the art style, as it falls somewhere in the territory of Jet Set Radio and No More Heroes, while the team-based gameplay looks like some sort of fever dream hybrid of DeBlob and Team Fortress 2. It’s a weird melting pot of ideas, to be sure, but one that looks like it could be a thoroughly satisfying online multiplayer frenzy. While there is no definitive release date yet marked for Ghost Song: A Journey of Hope, it is a Metroidvania title that I’ve already put my money down for, and am very much looking forward to playing by year’s end. I’m pleased to see someone working to fill that niche genre, as their hasn’t been word on a new Metroid title since the Wii release of Other M. I’ll also probably pick up The Next Penelope: Race to Odysseyus, another indie game which, coincidentally, seeks to fill yet another niche genre that I am a big fan of, falling into the territory of F-Zero’s high-speed and intense racing design. While this latest Nintendo Direct only revealed so much about the long-awaited Shin Megami Tensei x Fire Emblem project, I will admit that it looks absolutely gorgeous, and my feelings toward it are more positive than I initially expected due to the gameplay aligning more closely with the Shin Megami Tensei and Persona games. The character designs are a bit of a mixed bag – I love Fire Emblem armor and beasts, but the real-world SMT characters bear overly-anime stylized designs that I’m not so keen on. On the topic of games I have already started playing but have yet to complete, I’ve powered through the first fifteen hours or so of Persona 3 FES, which is currently on loan to me from a friend. I intend to pick up my own copy of it sometime later this year, but wanted to get an early start, as my feelings toward both Persona 4 and Persona Q: Shadow of the Labyrinth were overwhelmingly positive. I’m also more than halfway through the Wii port of the Gamecube remake of the original Resident Evil, which I’ve been tackling in short bursts. I’d also like to see if I can’t complete my virtual console copy of Paper Mario, the Zone of the Enders HD Collection, and the 3DS eShop release of Moon Chronicles by year’s end. While I did sink about ten or eleven hours into Watch Dogs, it may be a while before I pick that back up, as the load times are downright atrocious, and some of the core gameplay elements less polished than I had hoped. 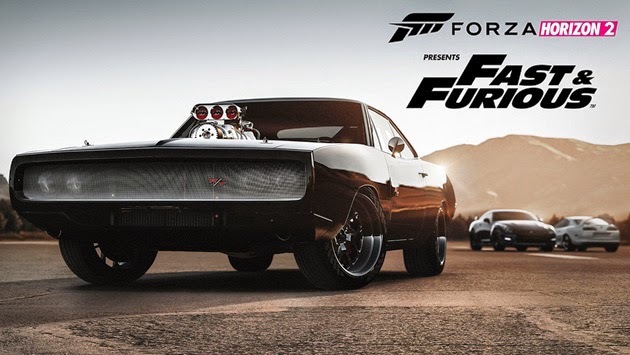 No doubt the result of a quick marketing deal, Forza Horizon 2: Fast & Furious is a free-to-download standalone expansion to the Microsoft-exclusive Forza Horizon 2. While the relatively brief experience bears the Fast & Furious name, there is little in the way of story to tie this product to the film series. Ludacris does lend his voice talents to the menus and offers both pre and post-race commentary, an addition that provides decent context to the otherwise generic routine of competing with other racers for ownership of their prized rides. That said, this two-hour-plus experience lacks any other form of story content. The routine of challenging other races in two-part competitions to win their cars is a predictable but fast-paced routine, and the game does provide plenty of varied locales and course setups to prevent things from becoming stale during its short runtime. A drift challenge, a timed return to your garage while keeping one of your latest acquisitions from receiving too much damage, and one particular race against a helicopter further spice up what might have otherwise become too predictable a game. Though the portion of the French countryside you are limited to is likely but a fraction of the area accessible in the full retail release of Forza Horizon 2, it is still quite expansive, stretching from a harbor town lined with old brick buildings out to hilly farmland, and on even further still to a long and winding stretch of highway that cuts over road leading to an airfield. Sunsets stream beams of an orange glow between structures, and even under the navy of night, the game’s lighting effects look phenomenal. The same can be said for the cars, which look satisfyingly realistic. Though the Xbox One may be the console with higher graphical prowess than its 360 predecessor, these sporty cars look nonetheless incredible. Zipping down city streets at high speeds, buildings will mesh as blend of colors, offering an effective sensation of just how fast your vehicle is travelling. Slowing down to inspect these up close, however, will reveal flat, often blurry textures. The soundtrack, though limited to a handful of tunes, offers a decently-varied selection of current licensed hip-hop, rock, and technopop tracks. 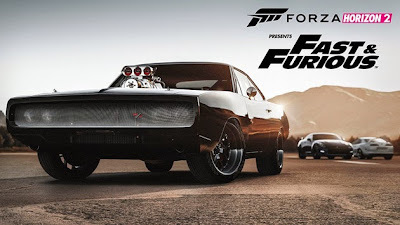 There is no option to customize the ten different main vehicles you collect over the course of the game, but considering how varied their makes and models are to begin with, as well as the fact that Forza Horizon 2: Fast & Furious is effectively a glorified demo, the lack of such a feature is none too surprising. Of the ten different cars you collect on behalf of the Fast and Furious crew, the earliest ones handle clunkier than the late-game acquisitions. Practically every one of the automobiles has solid acceleration, while the top speeds only improve with each new vehicle added to your garage. The other consistency between nearly all of the cars, however, is the fact that the vast majority of them do not handle turns well. Drifting does not feel good from any but perhaps two of the vehicles, and while the frequency at which cars can spin out may be more realistic than other racing games, it also diminishes the fun factor. Even at the start of a race, cars will sometimes start veering off at an angle, despite you having not pushed the joystick sideways in the slightest. Regardless of whether you take a corner pushing ninety miles per hour or slow down to the crawl of twenty, your car is bound to slide all over the place in nonsensical fashion, as if the roads were covered in glare ice. While most other racing games in this day and age adhere to the format of asking you to retry an entire race should you fail to place well or meet specific criteria, Forza Horizon 2: Fast & Furious allows you to make use of a rewind button between checkpoints. If you came into a turn too fast and spun out of control, a simple hit of the button will drag you and the competition back a few seconds so that you can better account for the zigs and zags of a particular course. It might lighten the challenge factor a bit, but it also lessens the frustration felt from the aforementioned not-so-great feedback the cars exhibit on anything other than a straight stretch of pavement. Offroad races are practically nonexistent, which is a shame, considering that the under-utilized Jeep Wrangler would be a perfect fit for romps down dirt roads or jump challenges over countryside hills. Cars automatically repair at the start of a new race, which is appreciated, as scraping against or slamming into fences and trees can and will tear pieces off your car and scratch it up. While it may remove much in the way of repercussions for dinging up your ride, it keeps the relatively short-lived gaming experience to a fittingly fast formula. The game will predetermine which car you will be using for each race, and offer the use of nitro on only a couple of races, which only proves an annoyance late in the game, when you are restricted to one of the earliest, less elegant cars in your collection. Forza Horizon 2: Fast & Furious does offer up a moderate amount of extra content: a checklist for driving down every street, knocking over signboards, discovering one hidden car, and challenging time trials in ‘rival races’. Beyond that, there are speed zones where you can attempt to reach breakneck speeds in setting a record for the online leaderboards, the option to take photos of the cars in your collection, and the opportunity to try and beat your personal best chain combo of skill points, the latter of which are earned from doing just about anything and everything behind the wheel – drifting, reaching high speeds, performing burnouts, and dipping in for near-misses close to other vehicles.